Stay in the new three rooms furnished with a comfortable kitchen, 2 bathrooms, all necessary appliances = sleeps from 2 to 5 people per room, up to 10 people in 3 rooms. WiFi, TV, DVD to your service, as well as the necessary additional services. We are located in a cozy well-planned yard with a free parking for a car. You can take any tram No. 2, 6, 8, 27; a little further there is a circle of trolleybuses, shuttle buses and a taxi stand. According to the preliminary arrangement it is possible to organize I will welcome guests. At the order of a hotel room from 10 days it is free. In other cases payment will not make more than 20 euros depending on remoteness of the meeting place and time of day. 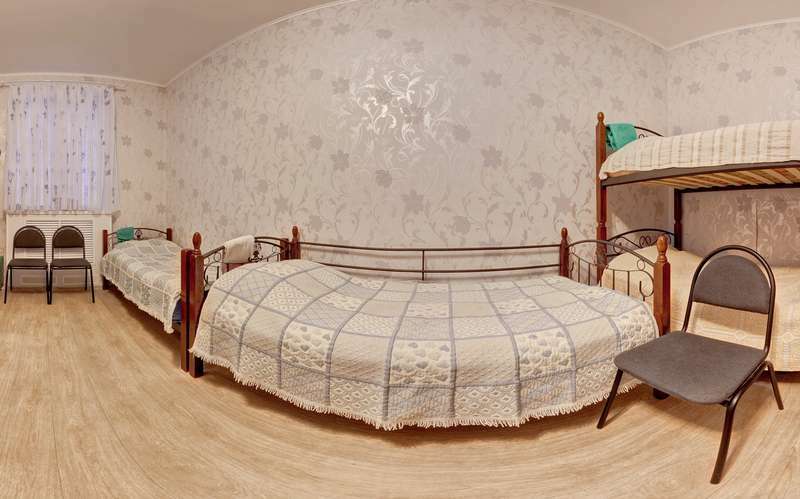 All older children or adults are charged UAH 80 per person per night for extra beds. 1. We inform that in case of stay in the territory of Ukraine more than 5-30 working days (depending on your country) you are obliged to be registered within a day from the moment of border crossing. 2. Settling time in the hostel â�� 13:00, checkout time â�� 12:00. If you arrived ahead of time, you can leave the things in a hostel.